Pomegranate molasses is an ingredient used in Lebanese cooking. It is made by simmering pomegranate juice until it’s concentrated enough to have a syrup consistency. It has a lovely sweet tang that pairs very well with salmon. If you don’t live near a Lebanese grocery store, you can buy pomegranate molasses from amazon (much cheaper per bottle if you buy 4). Combine ginger, garlic, orange juice and 2 Tbsp pomegranate molasses. 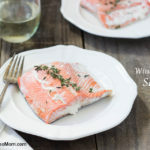 Pour over salmon and marinate at room temperature for 15 minutes (my preference is to do this in a large ziplock bag because I can just flip the bag over once or twice during the marinating to make sure all of the salmon gets well-seasoned). Preaheat oven to 425F. Line a baking sheet with parchment paper or tin foil. 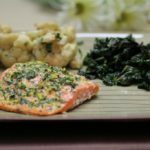 Lightly grease with coconut oil or other cooking fat (you can skip this step if your salmon has skin). 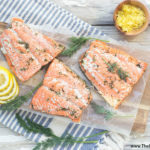 Remove salmon from marinade and place (skin-side-down if your salmon has skin) on the prepared baking sheet. Discard remaining marinade. 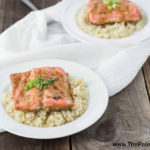 Drizzle a little more pomegranate molasses on the top of each piece of salmon and either spread with a knife, the back of a spoon, your finger or a pastry brush. Careful not to put so much on that it’s pouring over the side because any that does will likely burn during cooking (it’s not a huge deal if this happens and this is what the parchment/tin foil is for, but it does smell and smoke, which isn’t fun). 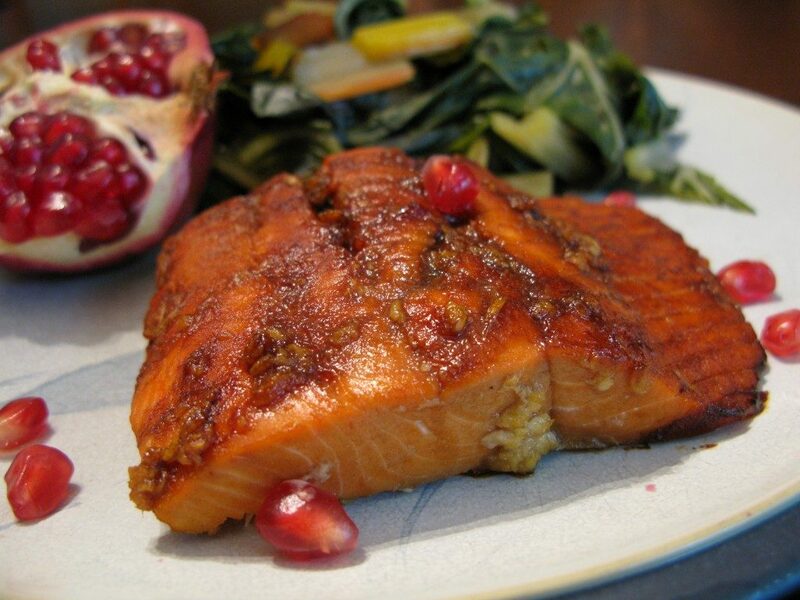 Each salmon fillet will be nicely coated with something like 1-2 tsp of pomegranate molasses. 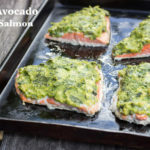 Bake for 12-15 minutes, until salmon is fully cooked (opaque throughout and segments come apart easily). 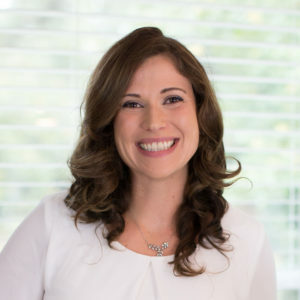 You are the perfect example of Paleo cuisine at its best in my opinion, along with Melissa’s work…particularly “Well Fed” and Paleomg….and, added bonus, as a scientist , you have the knowledge to instruct as well as share …Thank you for all you do. Wow! Thank you! I am honored to be considered in the same category as Mel and Juli! As for side dishes, if you can handle starches, check out my roasted taro recipe. Otherwise my lemon-parsley cauliflower rice. Then a simple steamed veggie or garden salad to round it off. Enjoy! Oh …thank you so much for your rapid reply…I will definitely try out your taro recipe if I can get to our “bio” épicerie before Noël (writing from France)…otherwise, the parsley cauliflower rice with asparagus, broccoli or a celery root purée sounds wonderful!! Yum! I didn’t have Pom Molasses, so I just combined some pom juice with molasses and reduced it. I combined it with some sauteed kale with pom seeds added and it was delicious and beautiful. 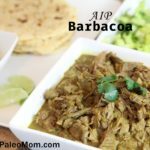 I also shared a link to your recipe on http://www.reddit.com/r/Paleo. We live in Turkey where pomegranate molasses is cheap and plentiful. We use it almost daily in our salads, so I was intrigued when I saw your recipe. Combining it with fresh ginger and garlic made it over the top delicious. I was literally licking my plate afterward. We usually eat fish twice a week and this marinade/sauce is going into the rotation for sure. Thanks for the wonderful recipe!! 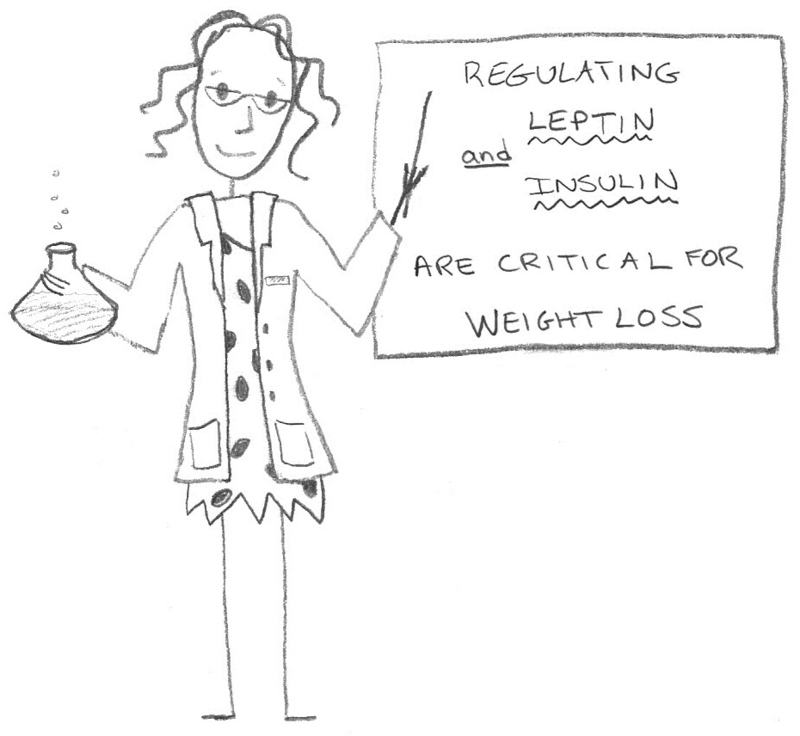 When I followed Dr Hyman’s dietary suggestions, I found a recipe that used pomegranate molasses. I didn’t even know where to find, so I reduced pomegranate juice down until it was a syrup. Very yummy. I can see where it would be a good salad dressing. Are Pomegranate seeds AIP compliant? How is Pomegranate Molasses Paleo when one of the two ingredients is sugar?